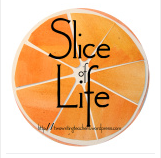 Every Tuesday, the writing community of Two Writing Teachers hosts Slice of Life. All are welcome to participate by linking up posts or commenting on other participants. Last week I wrote about some of the quotes I loved from my weekend in Atlanta at the NCTE conference. This week, I am writing about some of the words Margarita Engle shared during her powerful presentation about voice in nonfiction writing. Margarita is a Cuban-American novelist and poet, and her work has won many awards. When Margarita spoke at NCTE, she talked of her concern for many children in the United States who are living in fear of deportation. Granted, we don't know what the policies will be regarding refugees, immigrants, and deportation. We are all in a wait and see mode as to what the new administration will do in 2017. However, trouble is easy to borrow, especially when the stakes are high. For families who believe they may have to leave this country, the stakes are extremely high. Margarita's words made me realize what great fear and anxiety many families in our country are experiencing about their future. Margarita had been excited to try out a writing prompt where she would ask children to think of an important memory, and then write that memory in present tense. As she described the concept, I was excited to think about trying it out. But then, she stated that she would not include this exercise in her presentations because of the potential danger it could pose for children and their families. Truly, my heart pounded when she said this, partially because I don't want to believe that any child in our country should live with this kind of fear, and partially because in my naivete, I hadn't thought about it myself, and I am the coordinator of our writing program. I work in a relatively homogeneous school system, and I am embarrassed to admit that I hadn't thought about how some of our students' fears could impact their academic lives, especially in writing. In our narrative units, we encourage students to generate stories by thinking of emotional times in their lives. We ask them to write about important memories, people, and places. We ask them to provide windows into their lives. What if these windows are dangerous for our students? And even if they are not dangerous, what if our children or their families perceive that they could be? More than any other time I can remember, this is a time for extreme empathy, cultural awareness, and sensitivity. I am grateful for Margarita's powerful words, as they reminded me to pay more attention, to be more vigilant, and to spread more kindness wherever I can. I would hate to live with that kind of fear. I hope it doesn't come to deportation. I hope that with all my heart. Such an important piece. I teach in a school that is 98% Hispanic. Many of our students are from Mexico, some legal, some not. Our kids are so afraid right now, and it makes me so sad! On a related note- I adopted my sons when they were 7 and 9. How I hated all of those write about where your name came from, write about your first memory, etc. prompts. Impossible for us to do and just one more reminder of my boys' hard history. So important for teachers to think about all of this! Thanks for this reminder, Carol. I have a student who lost her mother, so when Mother's Day comes along, I have to be sensitive about the Mother's Day card thing. It's important for us to know our students and to offer them choice in writing prompts. Thank you for opening my eyes to this situation. I too am naive. Writing can produce such deep feelings of emotion and vulnerability. It makes me ask how do we balance that in today's climate? I agree. Margarita's thoughts were so powerful - living in fear is something that is hard for us to imagine. Thanks, Melanie. Yours is the second post I've read today about empathy and kindness. They are ideas and thoughts worth pondering. Thank you for sharing. We do need to think about point of view of our students. For some, writing might be just what they need - a safe place to process their thoughts and express their fears. Maybe we need to let them know that some writing can be private. If we give them a way to productively make sense of their world it could be a lifetime gift. I well remember that moment and your response to it. I did not have the same response, but I totally understand yours as a coordinator. You must have a broader understanding of what this new era may mean for students. I would add her idea for a way to have students write from the heart by using metaphor. Poets do this all the time. Can we make students understand that their true selves can be expressed in the words of an animal? Isn't that what many of our picture book stories do? I just read Fox to some of my younger students this week. That book is full of real emotions. My students are working on response stories. I believe we can still make writing safe for kids. Not only can we, but we must. Agreed Melanie, there's an activist focus now on supporting immigrants. I'm all in! Being aware of possible misperceptions and interpretations makes it easier for a teacher (or a coordinator) to be more thoughtful. I think I appreciate the care and concern that you have expressed here! With a Hindu brother-in-law and Korean sister-in-law, I understand some of the concerns. However, as Margaret said, we MUST make writing safe for students. Teachers need to be writing about their own fears, as well, in order to better understand how traumatic life really seems for some of our students in these times of uncertainty! What is the Difference Between Reasons and Evidence? Slice of Life: Some things are meant to be.